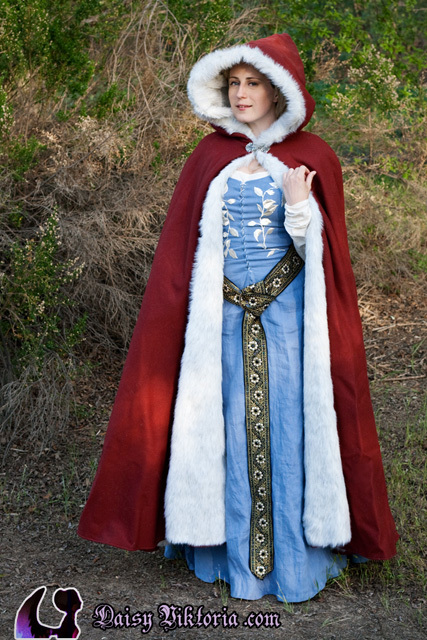 This is a 15th century style cotehardie with front lacing. 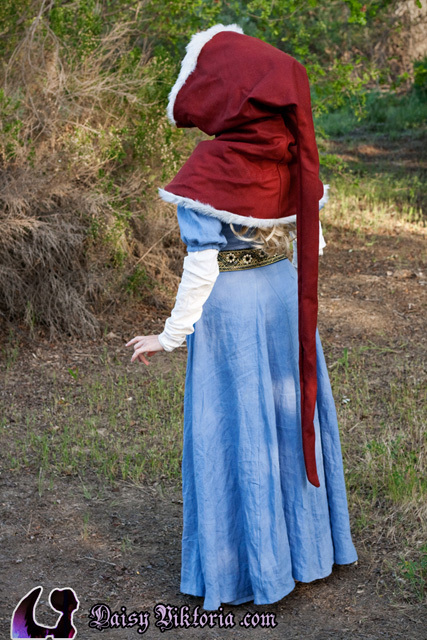 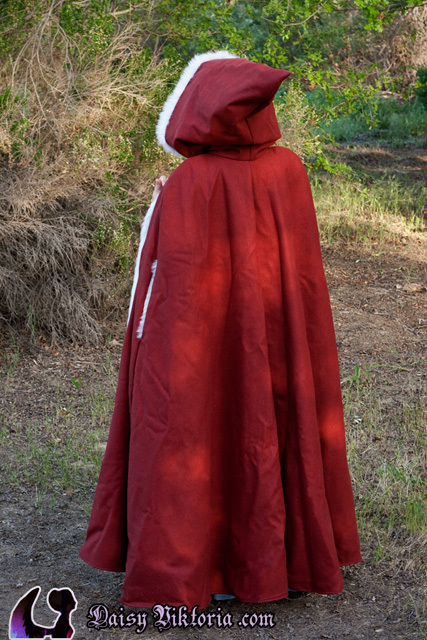 The outfit was inspired by Red Riding Hood and made with the ideas of both historical authenticity and true fantasy in mind. 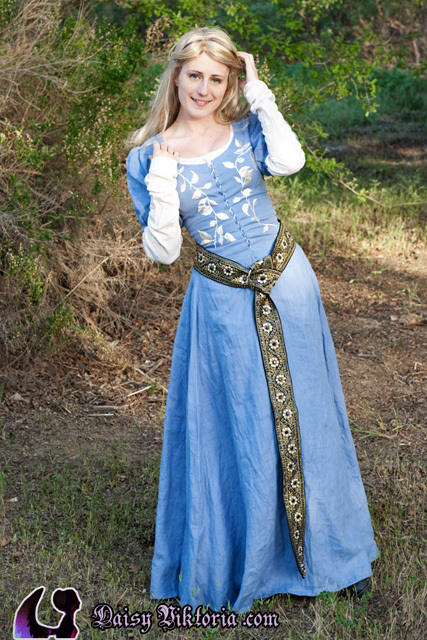 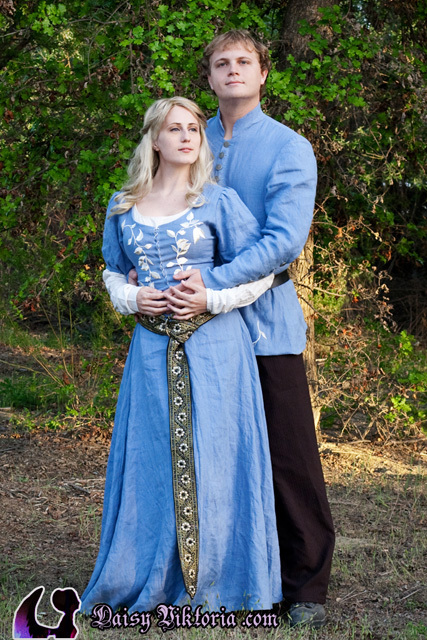 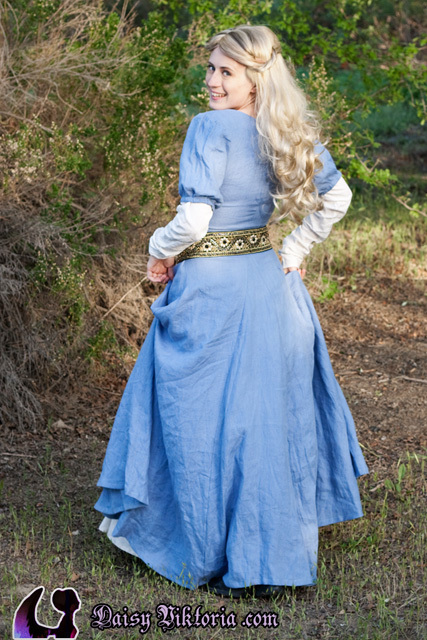 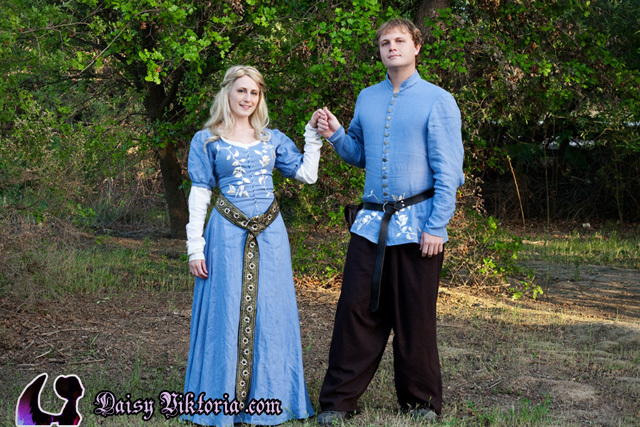 The dress is made of blue linen with floral appliques. 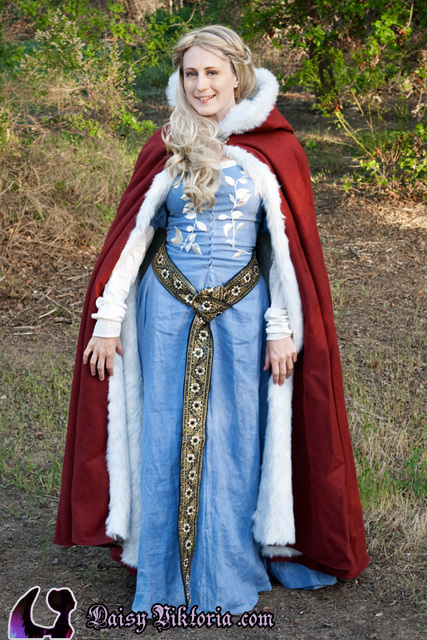 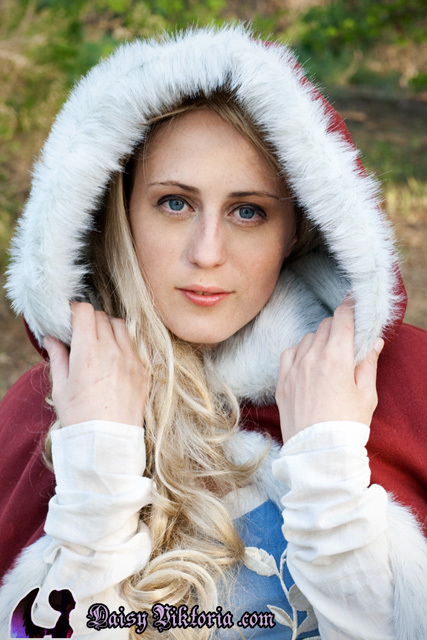 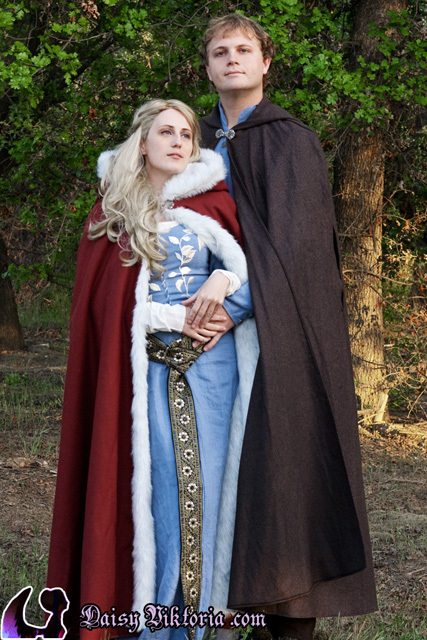 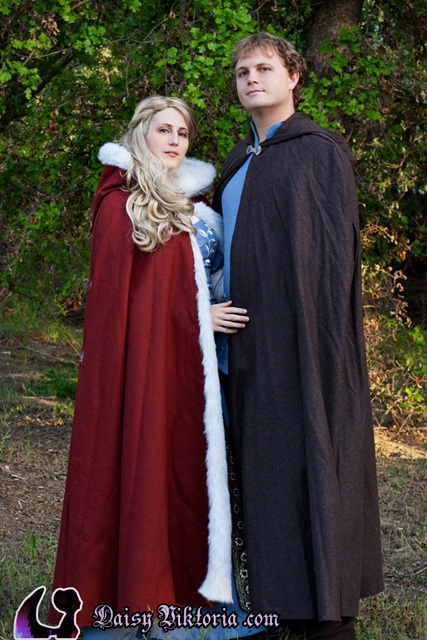 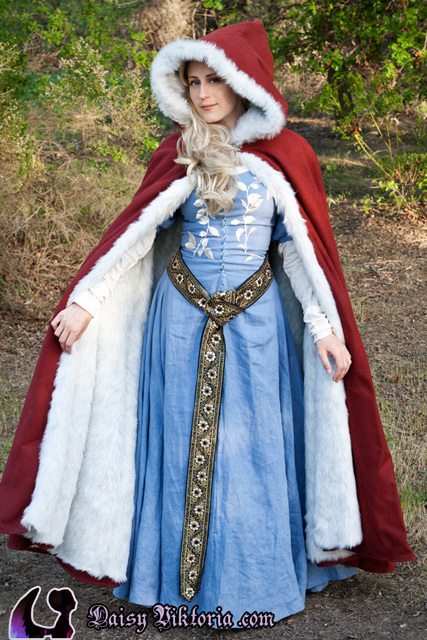 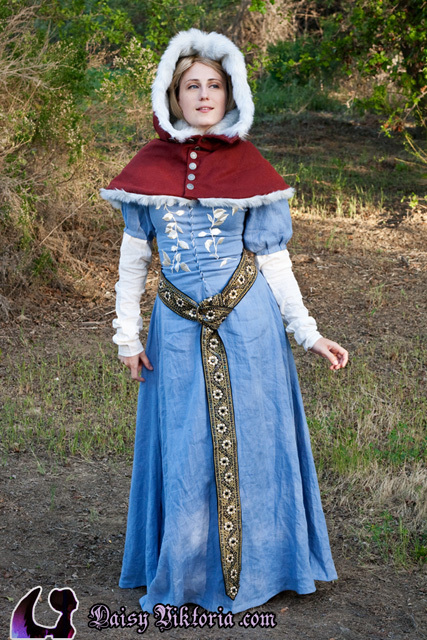 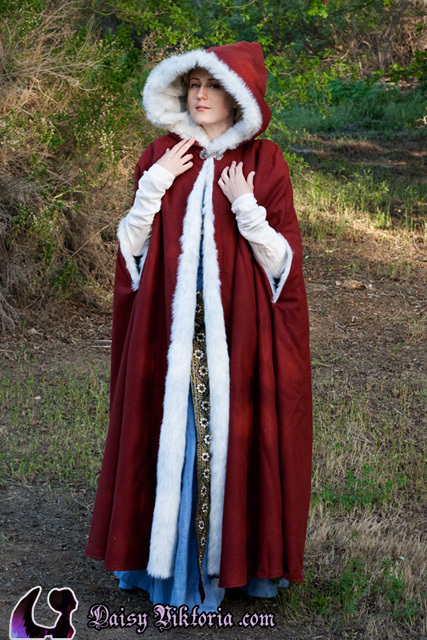 The cloak and hood are red wool lined in off-white faux fur with grey speckles.